Who doesn't love coloured eye liners? 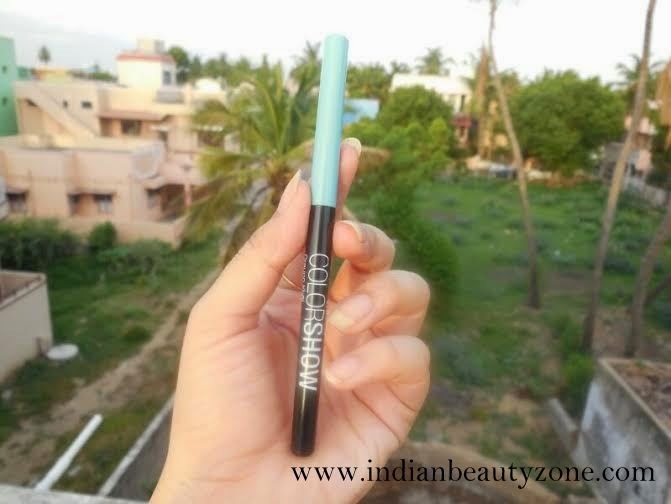 I adore them though I don’t wear them often ( Blame my city :P) they are so much fun to wear and add that hint of color to the eyes <3 today’s review is about a gorgeous sea green color which turned out to be my favorite spring color of the year. Though I don’t reach for this shade often is till like it because its Maybelline <3. High intensity now in a liner! Brighter and bolder colors in an eye liner. • High crystalline wax keeps the colors from fading and keeps the liner smudge-proof and long lasting. Wow!!! I love the packaging <3 it comes in a simple shiny black packaging with a colored cap. yay yay!! 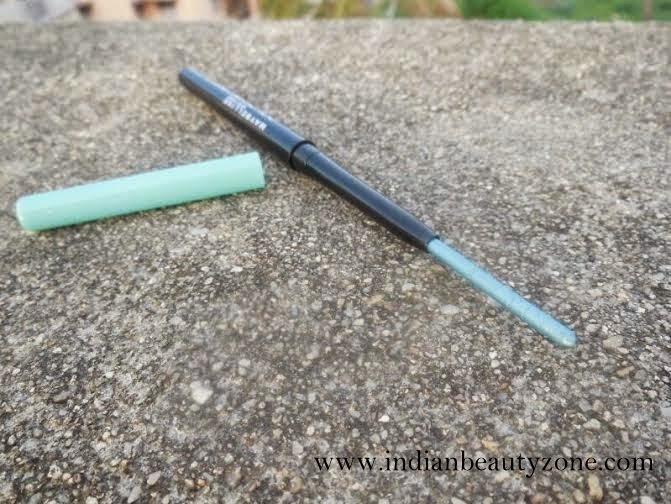 Eye liner shade and the cap color is same, which means you don’t need to be searching for them in your eyeliner stash during those hasty mornings :D also this khol comes in a retractable form which makes them super economical as these needs no sharpening. 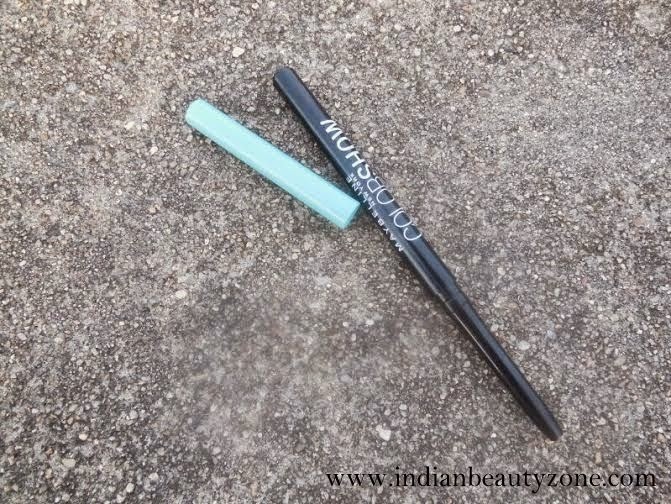 The texture of these eye pencils are smooth but definitely not buttery that just glides so effortlessly. The pigmentation is medium. It is not intensely pigmented which is disappointing. You would need to swipe it atleast thrice to get the original color. On my oily lids I keep swiping the color more than that to get the actual color. The staying power is pretty good. It stays for 6 hours on my super oily lids. On my waterline it stayed for about 3 hours maximum. The shade is another disappointment. “Peacock green” is a gorgeous sea green with a metallic sheen. It is gorgeous only to look at. And on my eyes I somehow don’t find it flattering at all. May be it will suit fair skintones, but on my medium skintone is looks unflattering. And the metallic sheen makes it stand out when applied. 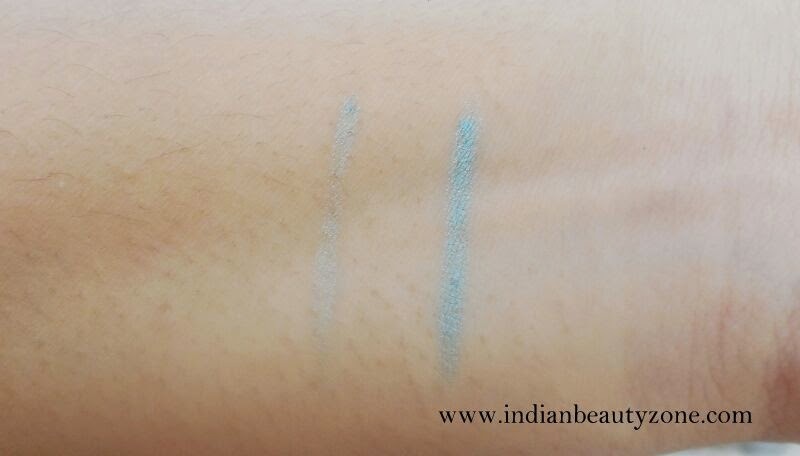 I can only use it as a base for my pastel green eyeshadows :-/ I think the other colors from this range will definitely will look on our Indian skin tones. 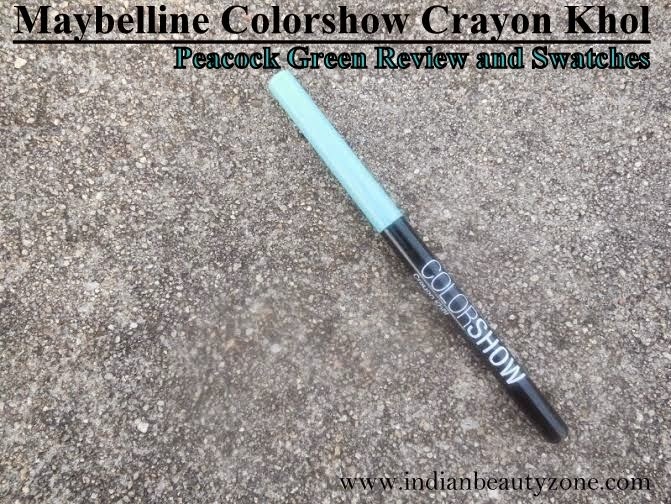 DO I RECOMMEND MAYBELLINE COLORSHOW CRAYON KHOL? No I don’t. Though it is very affordable and has got many pros I still don’t recommend it for the shade. 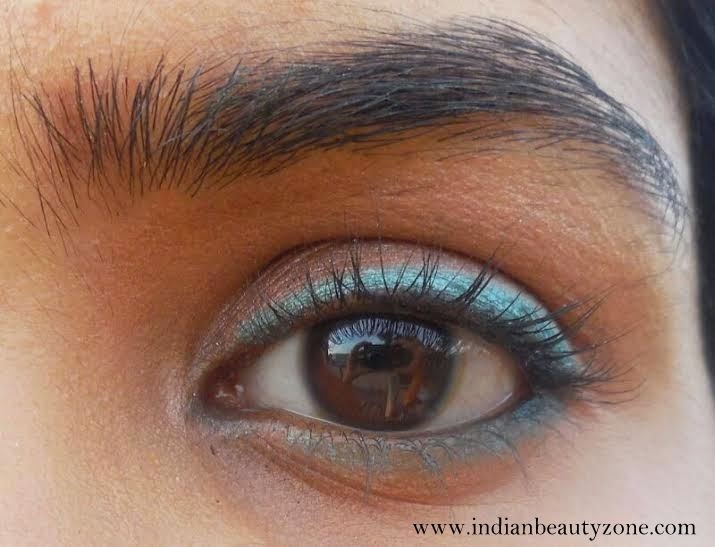 The metallic sea green doesn’t look flattering on most Indian skin tones. But I recommend to try the other shades available in this range. Its a nice minty green! I like coloreud eyeliner, I'm just need to practice myself! thats a really pretty shade! looks beautiful on your eyes! i have the purple shade. this shade would wash me out but is looking lovely on u! This range from Maybelline wasn't too impressive. Nice review and your eotd.